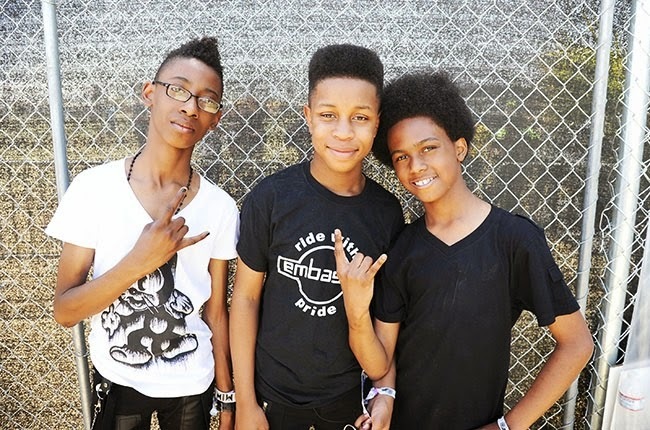 Unlocking The Truth who had signed a contract with Sony is looking for a way out of the deal. After getting permission from a New York judge last summer to sign with the Sony deal, the musicians had needed the judge's approval because they were minors. But now things have changed and the band went on to say "Our attorneys are working on our exit from Sony now," guitarist, songwriter and singer Malcolm Brickhouse said at the March 14 world premiere of Breaking a Monster, a documentary on how the band rose from playing the sidewalks of Times Square to the main stage of Coachella and Vans Warped Tour. Their band manager Alan Sacks has confirmed they were in the process of leaving Sony, but said there were no other details to give.